Have you ever wondered what inspires or goes on in the minds of your favorite rappers? 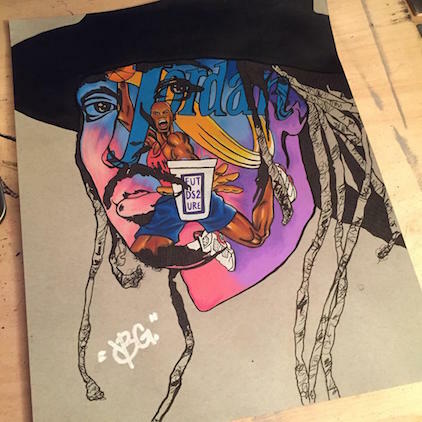 Keyani Watkins (Instagram’s @youngblvckgxfted)’s art imagines the influences of popular artists like Kendrick Lamar, Kanye West and Mr. Future Hendrix himself, and transposes them onto their faces in collage form. I always figured Kanye had a big brain.